This is a beautiful area rug. The colors are very true to what I saw online and it is extremely soft. There is very little shedding. It was a bit smaller than I needed so I layered it on top of another rug in our foyer and it looks fantastic. The Heritage Collection is comprised of finely crafted rugs that will invigorate any space with rich, luscious detailing, vibrant textures and colors that will illuminate the room. 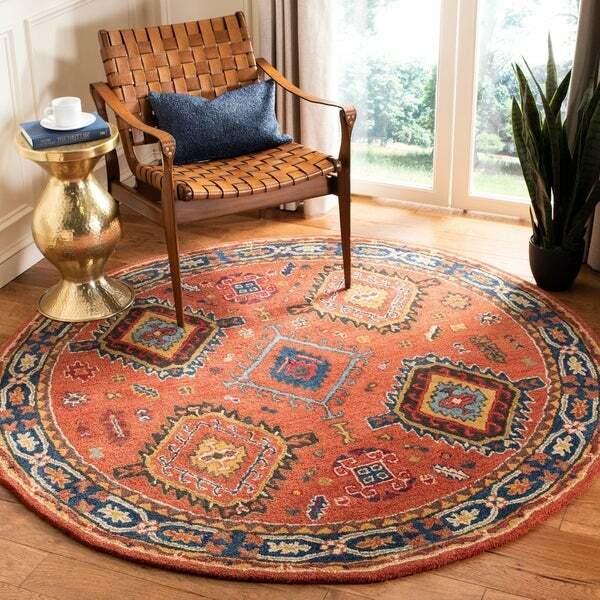 Every Heritage Collection rug is hand-tufted of pure wool with strong cotton backing making these traditionally styled rugs both beautiful and durable. These are ideal rugs to choose for those high traffic areas of your home or office.